Professional Dancer, Choreographer, Actor, Nutritionist, Yoga Teacher, Parkour Instructor,Daniel “Sonic” Rojas has been dancing & performing for more than 20 years. This journey has included many awards such as Winner of the European Championship ”Ultimate Bboy Session” in Germany 1998, Winner of the World Championship at the UK Championship 2001, to the more recent IBE2014, where he took 2nd place in the World Championship Breakdance Competition (Holland). Daniel has also spent more than 15 years dancing with reputable, contemporary dance companies in Denmark, Sweden, London and Italy, as well as performing in many world acclaimed theatre productions such as the musical The Hunch Back of Notre Dame de Paris, playing as The Nutcracker for 6 years consecutively, playing as Harlequin, and many more. As a performer and teacher, Daniel is known around the world for his creativity and individual way of expressing himself by telling stories through dance. Combining his Latin roots and his experiential journey of many years as a professional dancer/performer, Daniel has created his own style that he calls ”CONTEMPORARY-BREAK (recently renamed as Embodied Dance)”. This unique form has been recognised by the University of Science of Sports and Anatomy in Cologne, Germany, as one of the most complete dance workshops offered internationally. Embodied Dance dissolves the boundaries between different forms of dance with the aim of integrating dance cultures to give individuals a unique way of expressing themselves, connecting to feeling through movement and ultimately self-healing. Derrick Siu is a tv host, voice over artist, emcee and tech head. After being introduced to Parkour by a friend in late 2011, Derrick continued to practice the movement form for a few months, including visiting one of the leading Parkour Schools - Parkour Generations in Bangkok, and connecting with and learning from Parkour Groups around the world in Brisbane, New York and San Francisco. 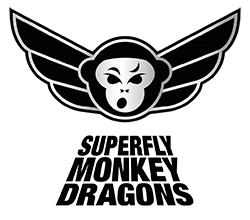 Upon returning to Singapore, he decided to make a stronger commitment to the discipline by setting up regular training sessions with friends and so Superfly Monkey Dragons was founded on Wednesday 1st August, 2012. Derrick has since completed his A.D.A.P.T (Art du Deplacement and Parkour Teaching) Level One Parkour Coaching Certification from Parkour Generations. Growing interest in the classes lead to the formation of what is now the Superfly Monkey Dragon Parkour Freerunning Academy & Agency with a growing team of experienced traceurs and dedicated coaches including some of the most skilled traceurs and original Singapore Pioneers.